Launched online in 1998 Sportsbetting.com.au was the first Sydney-based bookmaker to be given approval to conduct sports betting over the Internet. Now based in Darwin they boast around 25,000 active clients with an annual turnover of close to AUD $20 million, and although that is considered small fry by industry standards they certainly provide a quality service. Adhering to their motto “If it moves, we’ll bet on” they offer fixed odds on just about every type of sport with a focal point on our favourite Aussie sports like NRL, AFL, Rugby and cricket, which are supported with regular promotions like $2.10 lines. 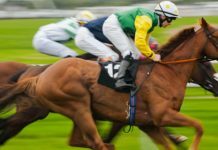 Their market range isn’t as broad as the more commercialised sportsbooks but all of the main ones are available, and most importantly, they won’t turn you away for being a winning punter. Their racebook covers gallops, greyhounds and harness racing from all over the world. Great products like “Best of the Best” and “Super Bonus 15” ensures their odds are always extremely competitive. 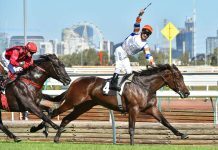 Recreational punters will enjoy an excellent range of racing specials including “Beat The Bookie’ and the “Get Out Stakes”. Their website and mobile touch site may not embrace an arsenal of advanced features but they will definitely keep most punters happy, and one of the best aspects about of their service is that they will accept bigger bets than most of their bookmaking rivals. Plus they even give their Australian clients a free Sportsbetting.com.au shirt. Winners Welcome ~ They don’t discriminate against winning punters. Bigger Betting ~ They will accept bigger bets than most of their corporate counterparts. Limited Market Range ~ Their sports betting market range doesn’t have the some depth as some of the bigger operators. No Live Betting ~ They don’t bet on live events. No Usernames ~ Members are given an account number for logging in rather than choosing their own username. Best of the Best ~ Pays the best of the three totes or Top Fluc (available on Metropolitan Gallops). Top Fluc ~ Pays the best price bet by the on-course bookmakers at the meeting you are betting on. Super Bonus 5 ~ Pays the SuperTAB dividend +5% on your winnings (available on Win and Place bets on ALL race types at most locations). Exotics ~ All racing exotics are paid at the SuperTAB Dividend. Match-ups ~ Sports betting with only two possible outcomes – Win or lose. If a draw does occur then the bet is paid at half the face value of the ticket. Jockey Challenge ~ Bet on which jockey will have the most success across the selected race meeting. 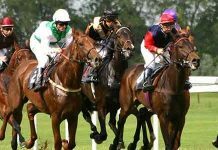 Ben’s Blog ~ Ben’s blog serves as a venue for sharing useful knowledge about sport, racing, news, betting tips and more. 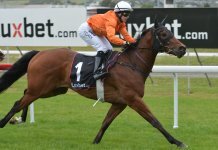 Best of Two ~ Pays the highest dividend declared by the NSWTAB or SuperTAB (used for Country Gallops). 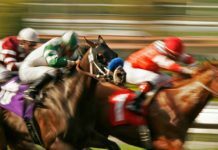 The Sportsbetting.com.au website is quite basic by design, but it still provides all of the essentials for placing your bets over the internet. 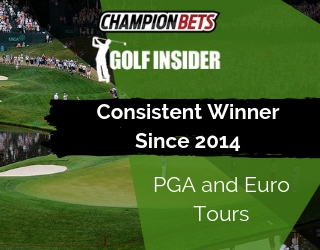 There isn’t a huge range of sports betting markets but all of the main ones like lines, margins, total points and first scorer options are available. The racebook covers the key information like weather, barriers and track conditions, plus you can access horse and greyhound form by clicking on the individual runners. The betslip holds up to 8 selections at any one time enabling multi-bets up to a maximum of 8 legs. Account balances and pending bets are always clearly displayed. The promotions page will keep you up to date with any upcoming specials, and most importantly there is no issues with speed or reliability. 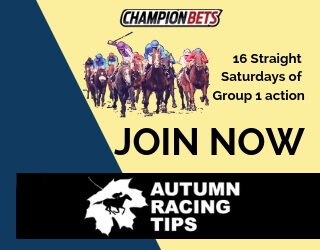 Its not the greatest betting website in terms of advanced features and fancy extras but it will certainly satisfy the needs of most punters. Sportsbettings’ mobile betting solution comes in the way of a mobile touch site rather than an App that you can downloaded from the store. It has a basic design but like main site it covers everything you need for online betting. It includes quick links to the next scheduled events and general navigation is incredibly simple, which is something I really appreciate for betting on the go. You should automatically visit to mobile site when logging on from you tablet or mobile device otherwise the url m.sportsbetting.com.au will get you there. *Sport and racing bet types can be combined into a multi-bet up to 8 legs.